If nothing else, Merriam-Webster was practical and logical when it chose its top word of 2011. The editors named “pragmatic” as the top word. The word was looked up frequently on Merriam-Webster’s online dictionary. A new feature on Merriam-Webster’s site allows users to tell the dictionary publisher why they sought that specific word, and the feedback from those who looked up “pragmatic” was that they wanted to reaffirm that the connotation was positive. “People have a general sense of what the word meant and in fact had even been using it, but then they had a moment when they thought to themselves, `Perhaps I ought to look up that word and make sure it means what I think it means,'” said John Morse, president and publisher of Springfield, Mass.-based Merriam-Webster Morse. Merriam-Webster has been picking its annual top choice since 2003. Previous winners include: austerity (2010), admonish (2009) and bailout (2008). 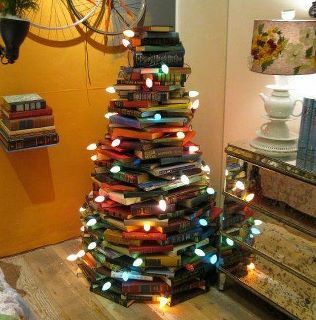 Just for today, take time to enjoy the glow of holiday lights, the adventure of a good book and the comfort of a quiet corner. 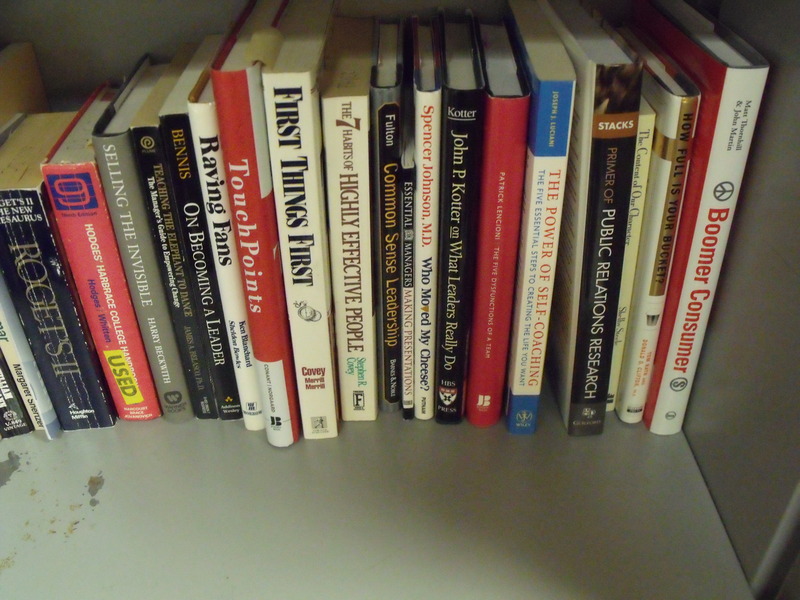 I recently reordered my one bookcase so that all of the business, leadership and self-help books that I’ve purchased and have not read were shelved together. I figured it would be a small section. Wrong! Then I looked back on my blogs for the past year and discovered I had only read four such books – and that included the ones I read for the business book club to which I belong. Drive: The Surprising Truth About What Motivates Us by Daniel H. Pink describes the secret to high performance. It’s about autonomy, mastery and purpose. Start Something That Matters by Blake Mycoskie tells the story of TOMS shoes but also offers lessons from innovative companies. The section on “Keep it simple” particularly resonated with me. 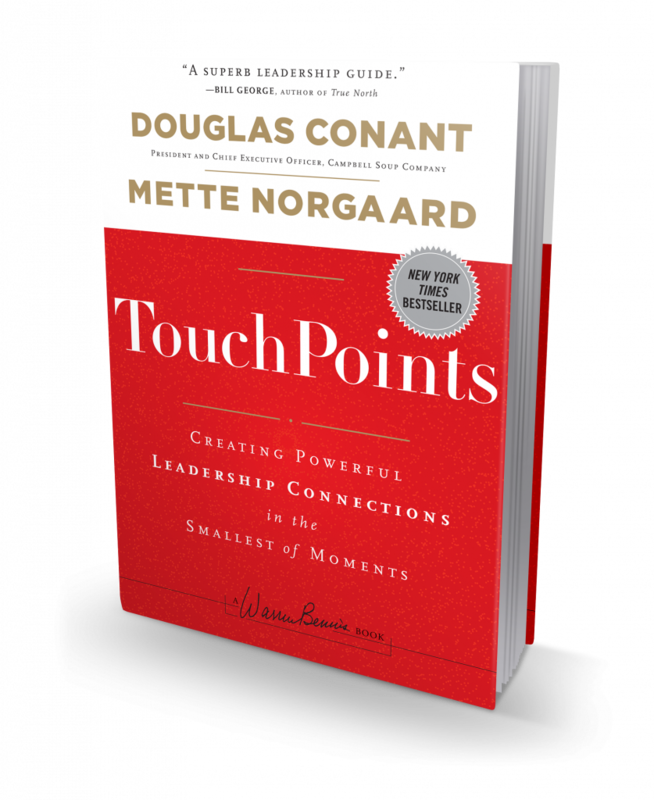 TouchPoints by Douglas Conant and Mette Norgaard describes interruptions as “opportunities to touch someone and improve the situation.” The interactions are framed using the TouchPoint Triad: Listen, Frame, Advance. What Got You Here Won’t Get You There by Marshall Goldsmith forces you to look at various habits that may hold you back. Fortunately, Goldsmith also provides ways to change for the better, whether it’s through feedback, listening, thanking or following up. Business and leadership books are a great way to keep your skills and thinking fresh. One of the subjects I want to learn more about is change management. To make sure I schedule time for reading about the topic, I recently agreed to present a short session on the subject at work. Now I have no excuse. What books would you recommend I add to my list? I’d been hearing about TOMS shoes and how cool they are. Plus, they give back. The book isn’t all about TOMS, though. Blake also shares lessons learned from other organizations, such as FEED projects, chartity: water and TerraCycle. Some I had read in other books but it’s always good to hear them again. I read this as part of my business book club. TOMS built a business based on social innovation, and we wondered if it’s possible to build pockets of social innovation within an organization, especially if a company is already large and established. Trying to change an entire culture might be difficult, but we decided if you create a pocket you might have success, and it could spread. That’s actually one of the reasons for the book club – to bring different functions of the organization together for discussion. Blake talks about the need to “find your story.” The TOMS story resonates and is easy to tell. Is your organization’s story easily told? What about your personal story? If not, how can you make it so it is? One section that resonated with me and of which I need constant reminding was the chapter, “Keep it Simple.” He shared simple ideas that became great companies, including Chipotle and Craigslist. He also talked about the need to create a simple environment in which to live and work. I confess that after reading that chapter, which stressed uncluttering your workspace, I cleaned out an entire file cabinet. I didn’t need the materials and even though they were out of site, they were weighing me down. Now I can focus on my priorities. Although I’ve not met Blake, I suspect the book is a lot like he is – filled with energy. If you want a quick read that shares innovation, good life lessons and the story of TOMS, this is the book for you. Plus, if you purchase a book, a new book will be provided to a child in need. Note: I didn’t purchase my book. I received it when I was selected for the Books for Bloggers Program. I’ve shared my copies (I received two) with others because the book is an easy read with wisdom worth sharing. 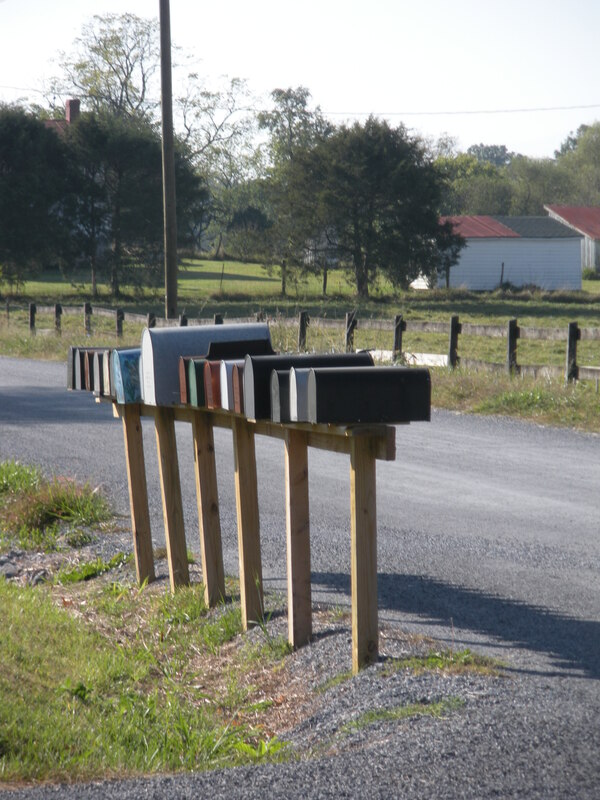 I’ve written previously about my inability to keep my inbox empty. Part of it is I receive about 100 emails a day. If I travel and miss a week, I’m behind 500 some emails. I didn’t even factor in the weekends, although the numbers do decrease. Now before you think your email goes into a black hole, it doesn’t. I read every one. The ones I can delete immediately, I do. The ones that require a simple answer, I immediately respond to. My problem, it turns out, is that I use my inbox as a reminder list. I recently read a great post about email Zen by Leo Babauto. He had the usual suggestions that I’ve read elsewhere and shared on this blog. If the email requires action, make a note of the action on your to-do lists. If you need to follow up on the email later, or are waiting for a response, note it on a Waiting For list. I’ve actually found it easier to add it on my to-do list at the bottom under my FYIs. I read the blog last weekend and have worked to implement the suggestions throughout this week. Since implementing these two tips, my inbox is down 150 emails! I still have a ways to go but I’m confident, I just may get my Christmas wish! PS If you like this post, please no emails. I’d love for you to write a comment on my blog instead. This New Year’s Eve will you be sipping champagne or Champagne? How do you spell the Jewish holiday? Are you in favor of regifting? Or is re-gifting? The holidays have enough stress without figuring out the correct way to reference a holiday or term. To remove that holiday stress, the Associated Press has compiled a Holiday Style Guide of words, phrases and definitions to help its members and subscribers with spelling and usage of traditional terms for religious and cultural holidays in December and January. Capitalize sparkling wine from the French region uncorked to celebrate New Year’s. Lowercase tree and other seasonal terms with Christmas: card, wreath, carol, etc. Exception: National Christmas Tree. Eight-day Jewish Festival of Lights starting Dec. 20 this year. Passing along an unwanted present to someone else. Sorry, but I can’t help with the shopping and decorating. That really resonated with me. I have many interruptions in my day, and I often viewed them as disruptive. But after reading this book, I have a new perspective on each of these interactions. Conant and his co-author Mette Norgaard argue that through these interactions leaders are able to increase their impact and promote their organization’s strategy and values. In the book the authors discuss the TouchPoint Triad: Listen, Frame, Advance. A good starting point is to ask the question, “How can I help?” Framing the issue ensures that we have the same understanding of the issue. Advancing means deciding what steps to take next. A final point, they make is to follow up to see how things worked out. This isn’t a weighty book, but it definitely changed my approach to the opportunities I have to interact each day. How do you spend your day? Do you have interruptions or opportunities?